The number of visitors at the sixth IMEX America increased by 14% this year, according to the trade show's official figures. 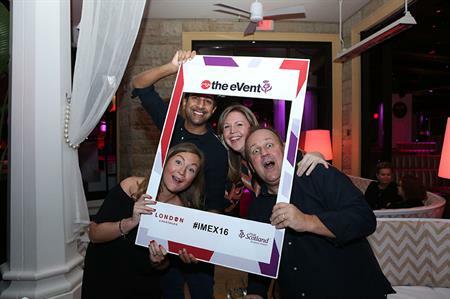 Final figures show that 12,227 meetings, events and incentive travel industry professionals attended the Las Vegas show which took place 18-20 October. The number of hosted buyers was up by 6% with 3,216 buyers from 60 countries in attendance. of these, 73% were from the US and Canada, with long-haul buyers from China, India, Australia, Russia and the UK. There was a 4.8% increase in exhibiting companies from 2015, as 3,250 countries from 139 companies attended. The largest ever IMEX America hosted 69 new booths and a further 69 exhibitors who increased their booth space. Commenting on her trade show experience, a hosted buyer from Dafing Group in Argentina,Claudia Cavariana, said: "One of the many things IMEX does well is the appointment system – it works out so well for both exhibitors and hosted buyers. It’s flexible and efficient – the exhibitors have prepared information for you so you spend your time well. It’s a show where I do serious business."